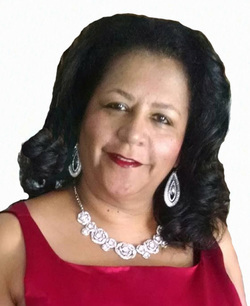 Sandra Rudd-Knight serves as the lead adviser in the mentoring program for teenage girls, her experience includes teaching, counseling, mentoring, educational developer, grant program coordinator, and coordinator of special programs. She is a retired educator from Halifax County Schools. She served as the district’s first Career Development Coordinator. Also, she served as the Instructional Management Coordinator and Special Populations Coordinator for Career & Technical Education Department. She managed several grant programs such as JTPA (Jobs, Training, Partnership Act) which was used to assist students with job training and placement. Students were placed in internships and apprenticeship program with local businesses. She also served as site coordinator High Schools That Work a school reform module for school improvement. This module was used to improve overall school performance and practices to enhance student achievement. She received her Bachelor of Science Degree in Business Education from Saint Augustine’s College in Raleigh, North Carolina and additional training in Career and Technical Education from East Carolina University and counseling training from North Carolina Central University. Mrs. Rudd-Knight is married with two daughters, two step daughters and one grandchild. Her educational training and experience as always leads back to Proverbs “Train up a child in the way that he should go”. She believes that all children are special and when given proper guidance and training they can be successful, self-supporting citizens.